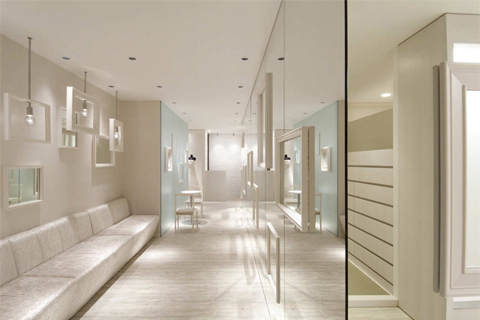 Process5 Design designed this shop located in a side street just off the main street that leads from JR Himeji Statio to the World Heritage Site of Himeji Castle. 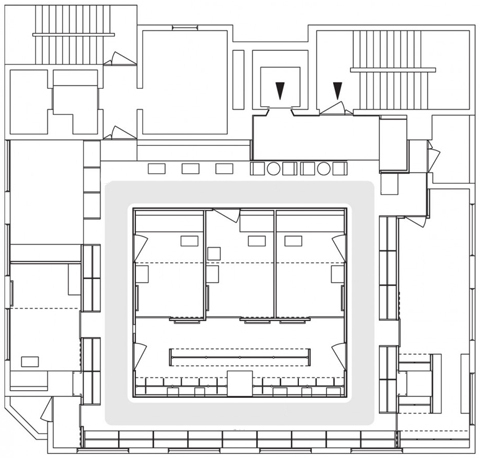 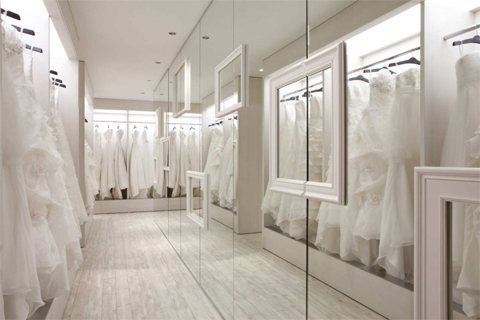 The floor plan was created so that fitting rooms are located in the middle of the space and reception, waiting and dress display spaces are arranged around these. 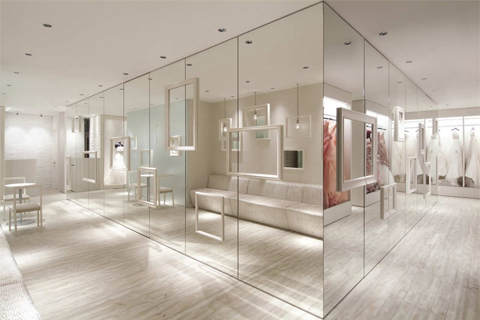 All four walls surrounding the fitting rooms are mirrored and randomly inlaid with frames. 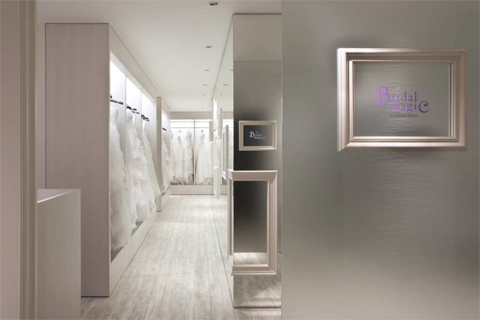 Some of these frames simply contain mirrors but others contain displays of accessories, apertures, lighting equipment and handles for the fitting room doors. 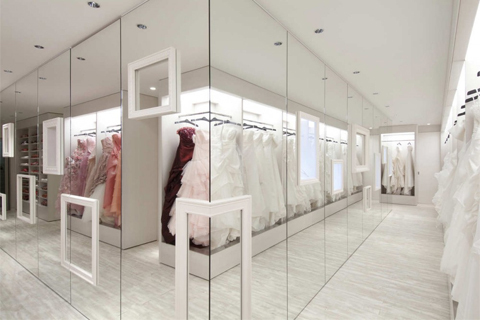 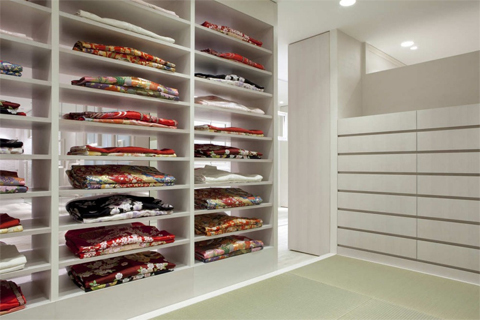 This use of space surprises customers and creates an encounter with a stunning dress. 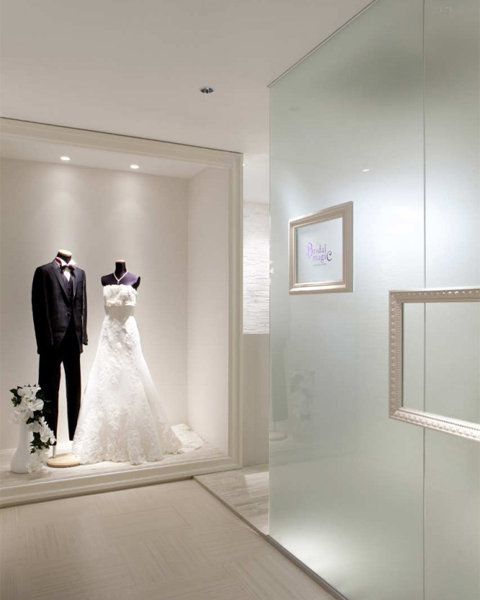 The dress shop evokes the feelings of expectation and exaltation of the bride, who is the centre of attention, with respect to her wedding.